Celebrity publicist turned spywitness Jonathan Jaxson has added Eve to his always growing list of celebrity lesbians. 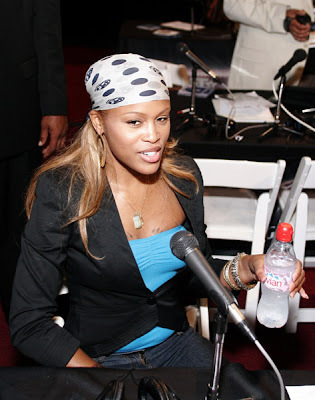 Jonathan claims Eve was recently spied ordering female hookers while she was a guest at the Setai Hotel in South Beach. One evening while being a guest in the hotel, Eve had ordered a female prostitute to her room. After several hours, the prostitute finally departed.